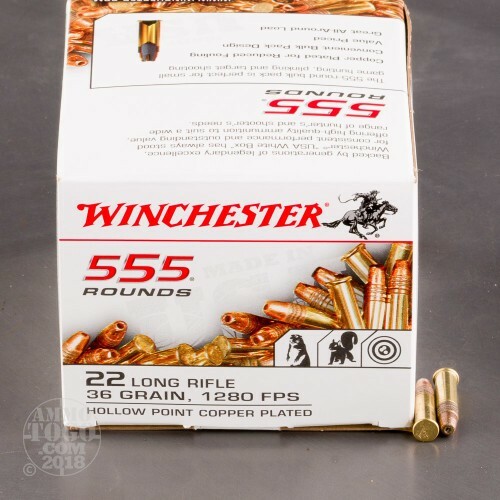 This is .22 LR Winchester 36gr. 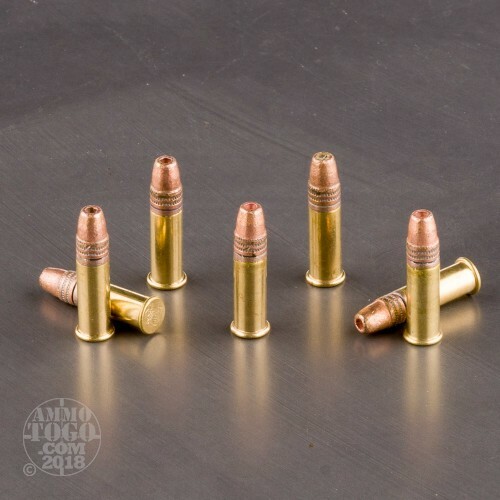 Copper Plated Hollow Point Bulk Pack Ammo. 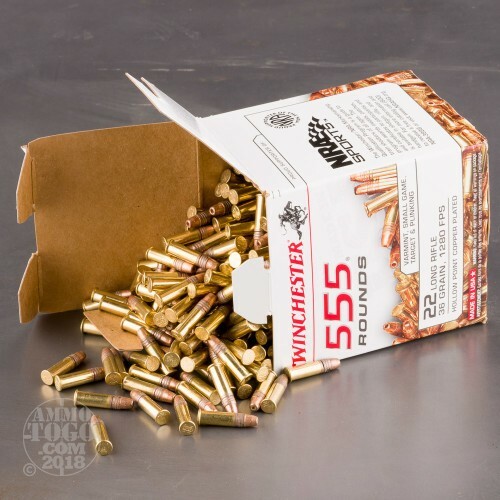 Winchester 22 Long Rifle is great for small game, hunting, plinking, and target shooting. This 555 round Bulk Pack features Lubaloy copper plating that reduces fouling. Velocity is 1280 fps. It is packed in 555rd. bulk pack. My ammo of choice when using my Ruger 10/22. Not a problem with any of the rounds. Thank You. Works fine in my bolt action rifle and my Taurus revolver. Not so much in my S&W 15-22 and not at all in my S&W M&P Compact. Great ammo. It arrived on time. It really works well in like 1022 Ruger. Very pleased arrived on time and they work great on my S&W ar15 22.. 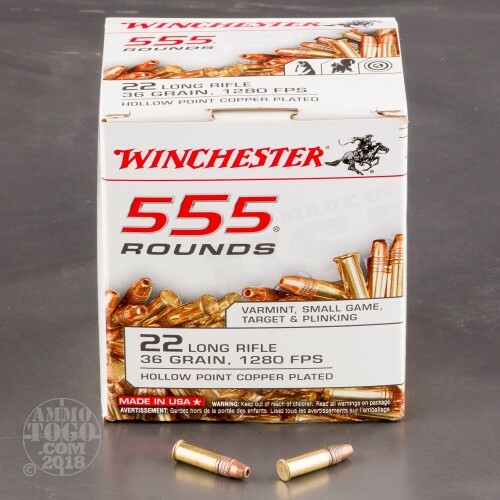 I like this ammo works fine in my guns no misfires and decent accuracyfor inexpensive ammo this stuff is not junk. this stuff is junk, noose of bullet is not rounded enough end is too flat, has trouble feeding in a Bolt action rifle and will always malfunction in any auto loader I have tried it in. Plus out of a box of 555 you can expect at least 25 to 35 bad primers.